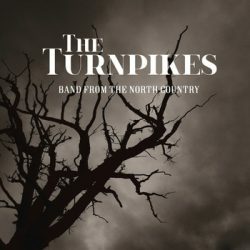 The Turnpikes are a five piece band hailing from Sweden and have been going since 2000. This is their third full-length album having thirteen songs, two of which are original, the rest being a collection of classics that they like and have been performing for many years. The songs picked are top drawer and the originals aren’t bad either. So far so good – but that unfortunately is pretty much where the good bit ends because this really is a disappointing album in many ways. As a well known talent show judge is prone to comment, this is the sort of stuff that you hear on cruise ships or light entertainment shows. The male vocals are limiting and lack feeling and emotion. It is hard to imagine a classic such as He’ll Have to Go failing to move, the same problem afflicting Rose of My Heart. Perhaps it’s the fact that Jim Reeves and latterly Johnny Cash gave such terrific performances of these songs that any artist truly needs to be world class to come anywhere close to those standards. The best performances come from female member Jennie Fredriksen whose performance on the best track here, the original More Like Her is strong and has emotion. Unfortunately she also falls into the same trap of performing an emotionally poor version of Lucinda Williams Blue – but again who really can match the original? There is little doubting that the band are sincere and love the genre, but they are a long way from the best. A disappointing album mainly of classic covers from Swedish band.